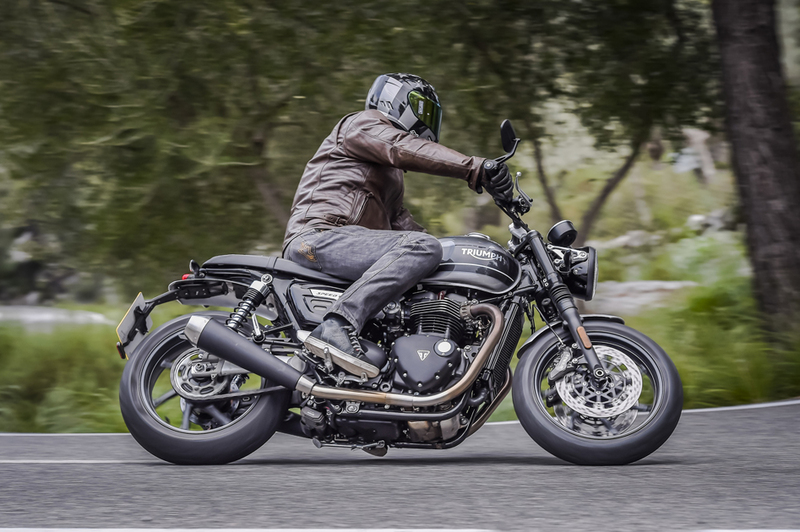 Triumph UK sold more than 61000 motorcycles last year. They are on a progress process by extending, somehow, their “Modern Classic” range. Alongside the Bonneville T120, the Thruxton & R, the Bobber & Black, the Scrambler 1200 XE & XC, the Speedmaster, and now there is the eighth member of the family. 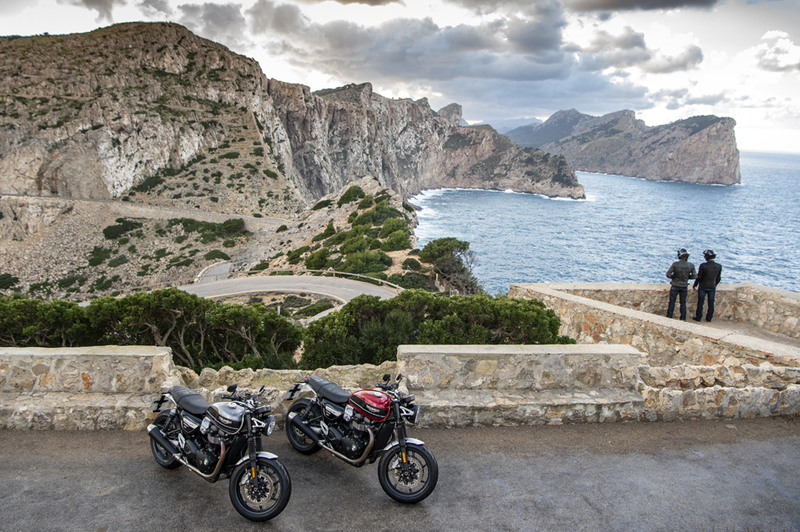 Welcome the Speed Twin, the missing link between the Bonneville and the Thruxton… ZA Bikers went to the island of Majorca, in the Mediterranean Sea, to test ride the new 1200 Speed Twin. Bikers are getting older and bikers are getting more nostalgic, aren’t they? 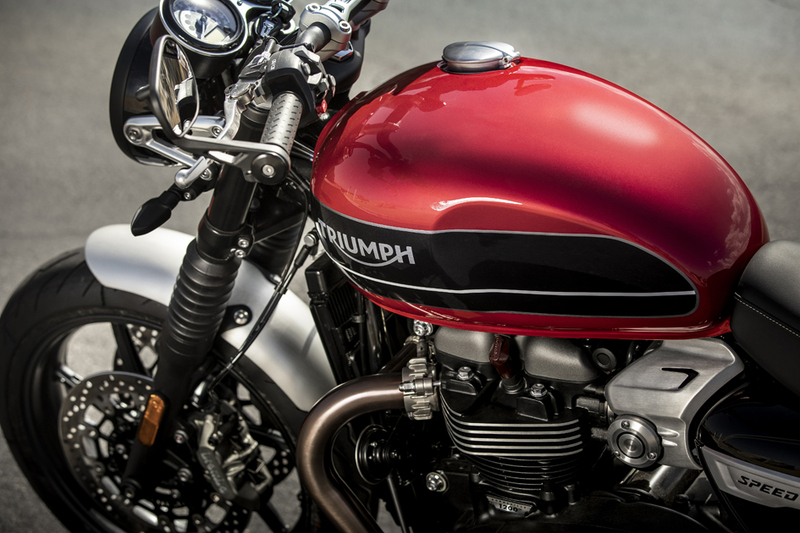 So it makes sense for Triumph to offer a new motorcycle with a classic look and modern behaviour. The new Speed Twin is recalling a famous name for Triumph: back in 1938, the 500cc Speed Twin was the first modern vertical twin with outstanding performance. Designed by the then Triumph Boss Edward Turner, the Speed Twin delivered 27 hp, and was produced for a record period of time. [28 years until 1966 !) 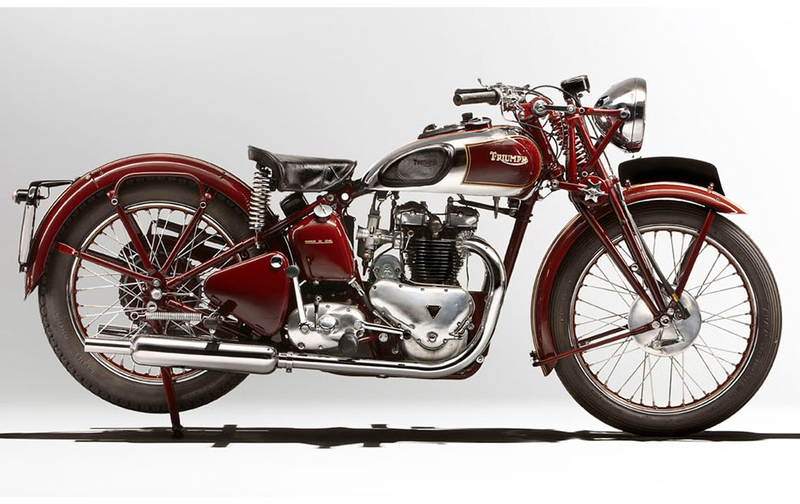 It surely set the genre of the “archetypal British parallel twin cylinder motorcycle”, as the Speed Twin inspired BSA, Norton and other brands to develop their own offerings to compete against the Triumph. 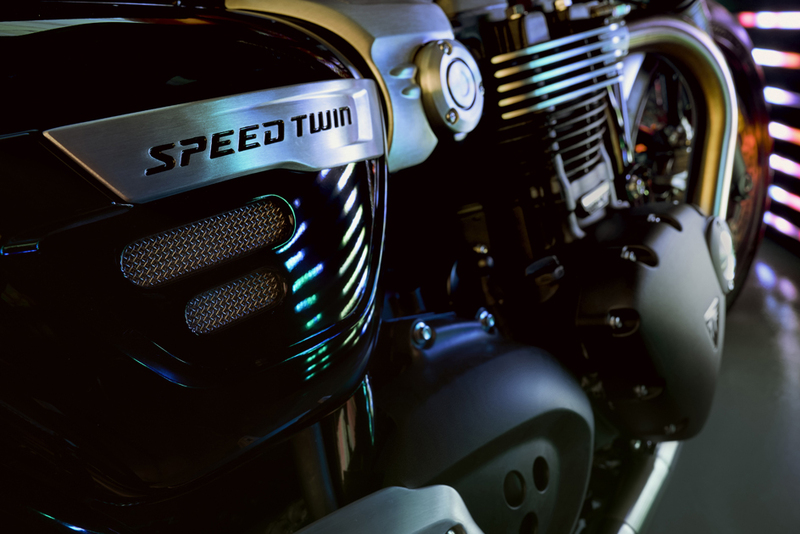 Many years later, the new Speed Twin offers 97 hp and 112 Nm of torque. 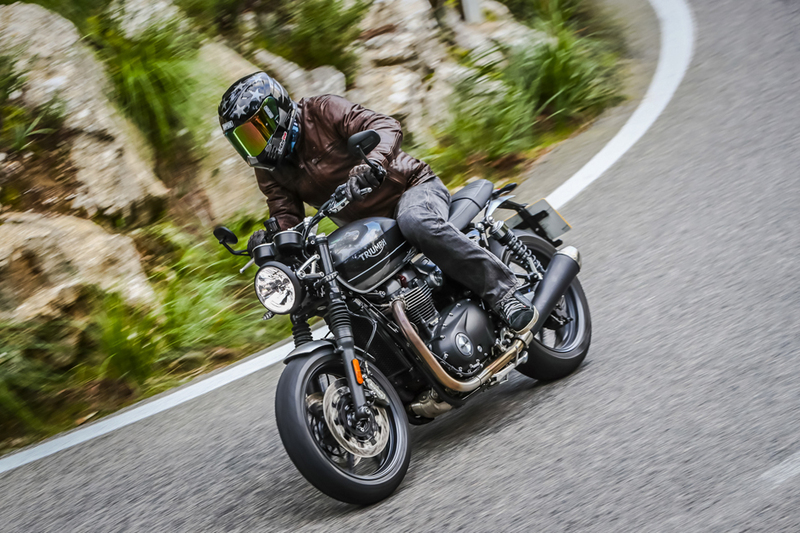 In other words, it’s a Bonneville, with Thruxton-like performance, which makes it very fun to ride, and with its estimated selling price that was indicated to us at the launch, I believe this new offering from Triumph will offer great value for money. The new Speed Twin is conservative with the colour choice. The black scheme comes as standard, with the dual tone grey/black or “korosi red” / black requiring a couple of extra bucks. But whichever colour you fancy, the rest of the bike has a lot of black accents. 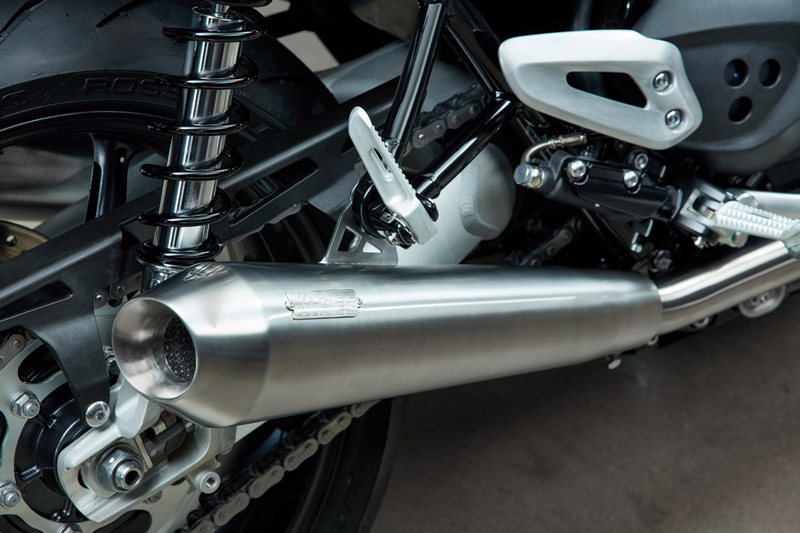 Engine, wheels, front fork, mufflers, are all black, albeit with classy brushed aluminium bits and bobs here and there for contrast. The rest is rather minimalist. Look at the tiny rear light and the LED indicators, and admire the bike’s compactness. 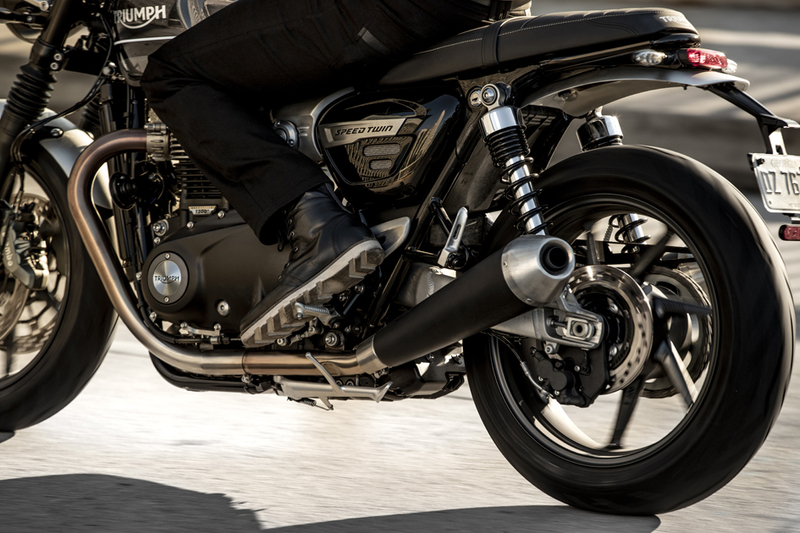 The Speed Twin silhouette is tipped over the front end, a stance that elicits a real dynamism. 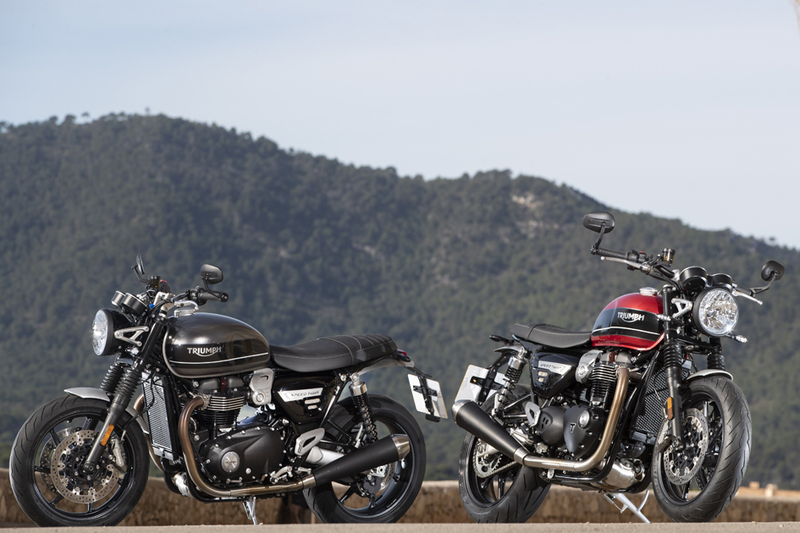 And that dynamism is not only a promise: The Speed Twin is 10 kilograms lighter than the Thruxton, thanks to the new wheels (front wheel and discs are 2,9 kg lighter) and new engine casing, and that translates to better agility. 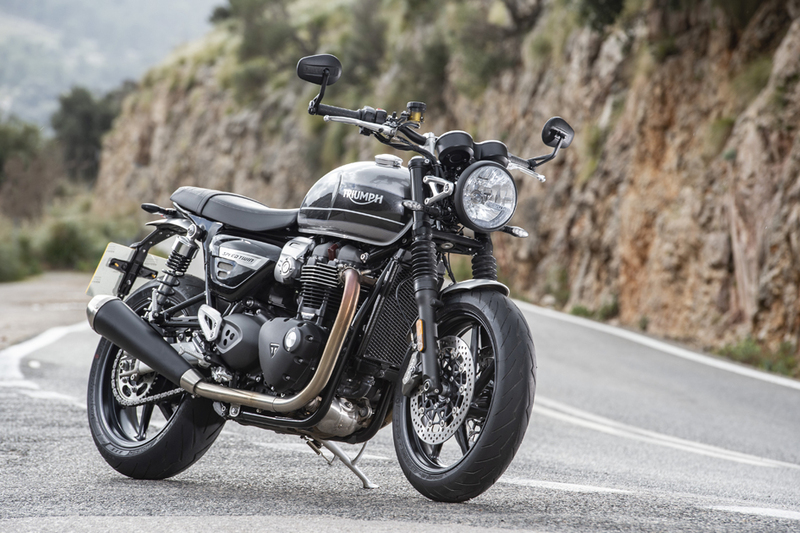 Compared to a Thruxton, the new Speed Twin has a longer wheelbase (+ 15 mm) and the weight distribution is 2% more forward. 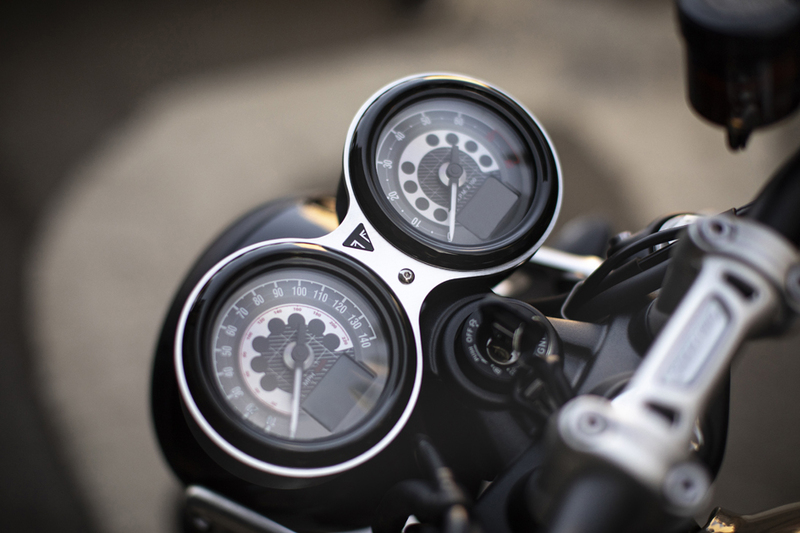 The riding position is also more neutral, with footpegs located 38 mm further forward and 4 mm lower, than those on a Thruxton. 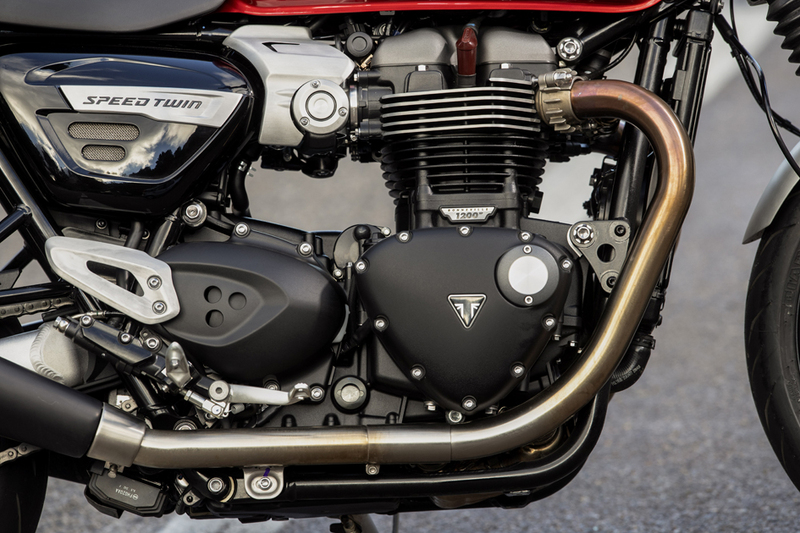 Before starting the engine and enjoying the deep tone of the vertical twin cylinder coming from the new exhaust (a pair of Vance & Hines silencers, coming either in polished or black finishes is also offered as an option), I have to pay tribute to Triumphs’ fit and finish. The bike looks clean and is brilliantly built with precision and many touches of class: just look at the brushed aluminium mudguards, the forged alloy headlight bracket, the retro-looking Monza fuel cap, the LED lights everywhere, the tiny “Triumph” logos all over the bike. Great job! 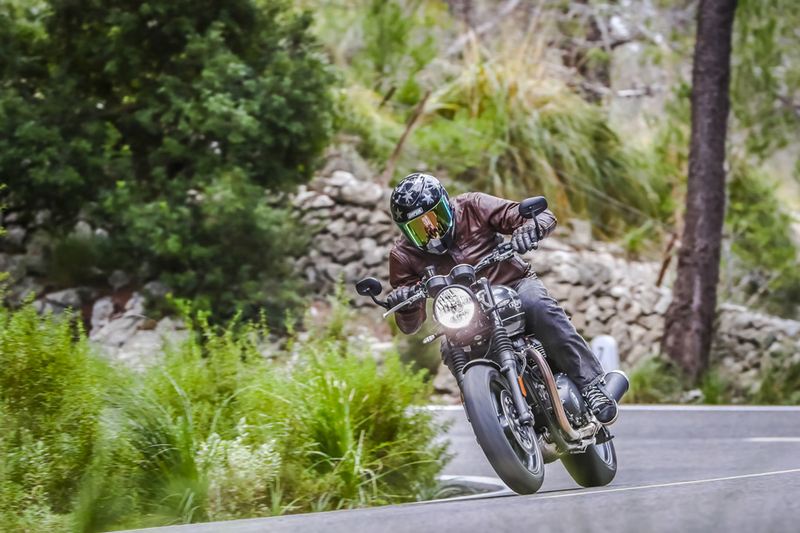 In Europe, the Speed Twin is sold at the very same price (12900 €) as a BMW R nineT Pure standard and without any options, the German stallion might suffer from the comparison. Yet, the German is more powerful: 110 hp and 116 Nm of torque, against 97 hp and 112 Nm on the British side. The Speed Twin however delivers its figures at a lower rpm. 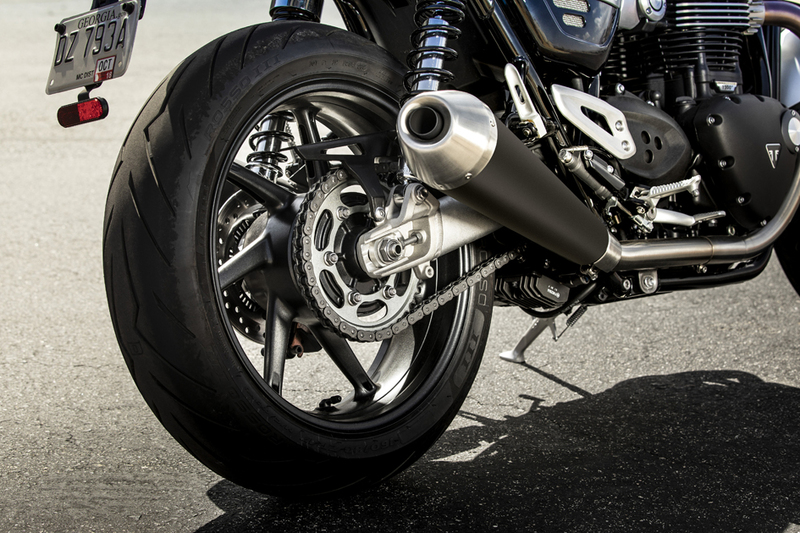 (6750 rpm against 7750 for the power, 4950 against 6000 for the torque) and as the Speed Twin’s gearing is a bit shorter, there is always plenty of oomph and great roll-on acceleration, even in sixth gear, to enjoy on this British bike. The new Speed Twin is incredibly easy to ride. Its overall dimensions (a dry weight of 196 kilograms and a decent seat height of 807 mm), allied to a compactness for a 1200 cc machine makes it accessible for nearly every shape of rider. All the controls are very smooth and the engine at low revs is a peach too, and that makes the Speed Twin a perfect commuter. There are three riding modes, “normal”, “sport” and also “rain”, as well as traction control. With a very neutral riding position and reasonable tyre size (the rear is “only” a 160/60), the Speed Twin is easy to steer and very agile as a mid-capacity bike. 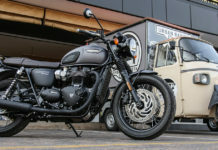 Triumph’s argument regarding the Speed Twin has been focusing a lot about the weight reduction compared to a Thruxton, with 10 kilograms less. So, not only can the Speed Twin be seen as a perfect commuter, it can surely be an awesome breakfast run machine, for a Sunday morning blast on any winding road you fancy. You won’t need many corners to find how competent it is. It starts with the good tyres, as the Pirello Diablo Rosso 3’s are quick to warm up, and then the next step is to explore the more than decent ground clearance. The engine delivers all its power in a rather linear fashion, and whilst chasing other journos over the Majorca island twisties, I was quick to find out that the 7000 rpm redline is not the real limit, as the big Twin is happy to rev up to 7500 rpm with a proper top end whack too! For sure, the Speed Twin deserves its name! 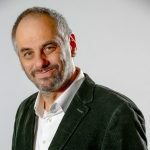 I was impressed with the bikes fuel consumption too, I still managed to come back with a 5,5 l/100 on-board computer figure, which makes an acceptable fuel range of 250 kilometres. With the 15 mm extra wheelbase as compared to the Thruxton the high speed stability in fast corners is not an issue. 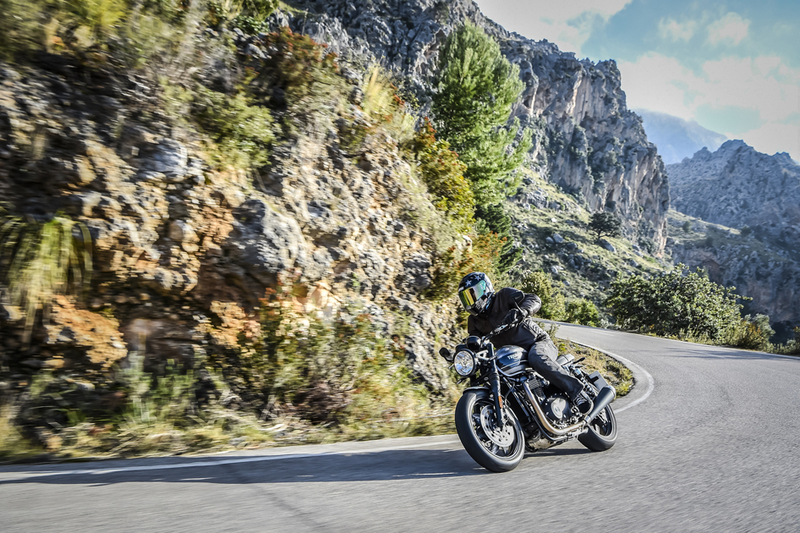 However, if you are attached to the extreme precision and feedback from hi-specced suspensions, the Öhlins-mounted Thruxton R can’t be beaten and remains on top of the ultimate handling hierarchy of the Triumph Classic range. The Speed Twin however is more versatile and offers great value for money. 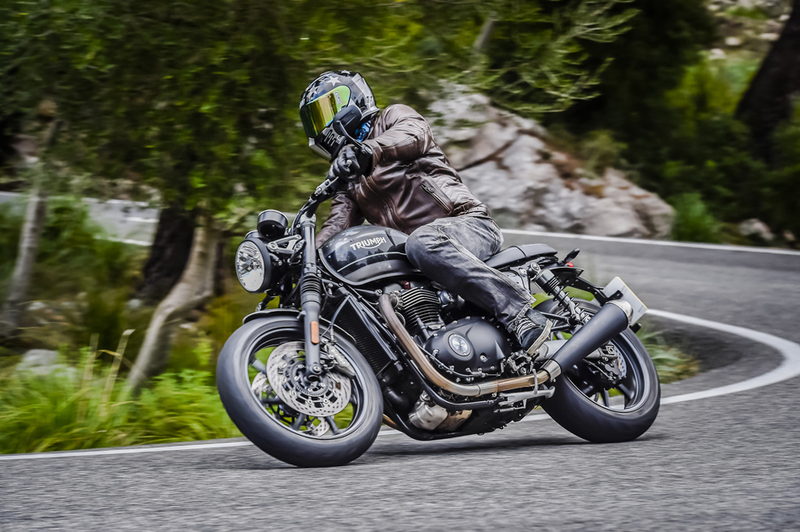 Triumph has ticked all the boxes, and then some, with the new Speed Twin: it’s fun, it’s easy to ride, it looks great and sounds great too, goes strong and can take corners well. 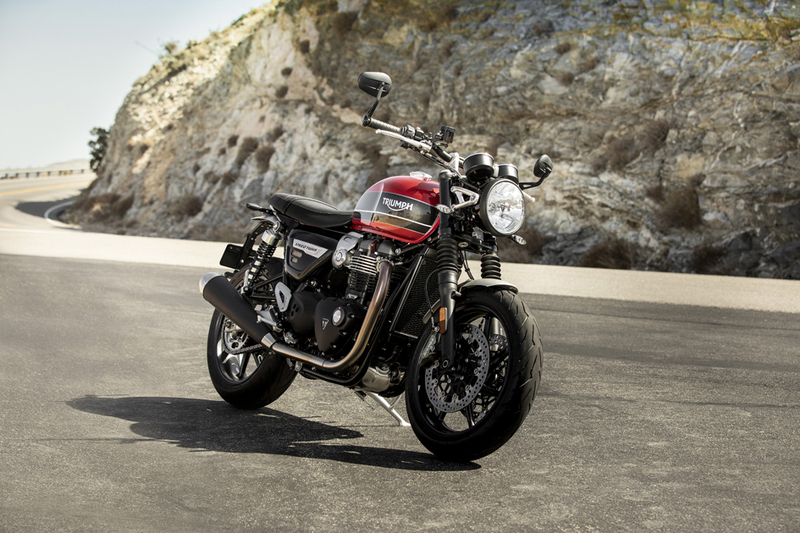 The Speed Twin is a new, fresh offering from Triumph and pays great homage to the genuine essence of motorcycling.